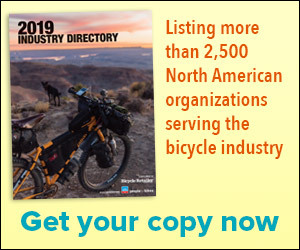 CHARLOTTE, North Carolina (BRAIN) — On its final day in Charlotte, Bicycle Retailer’s Carolinas Dealer Tour covered a wide range of shops and a sizable geographical area as it traveled from Uptown Charlotte to the city’s southern reaches. CHARLOTTE, N.C. (BRAIN) — CycloFest, Interbike’s mixed trade and consumer demo event held at the U.S. National Whitewater Center here, brought together bike enthusiasts, local trail riders and families from all over the Southeast for the event, which wrapped up on Sunday. AUSTIN, Tex. (BRAIN) — Just two months after opening his first store outside the Austin city limits in Bee Cave, Texas, retailer Hill Abell has opened a fifth location near the University of Texas campus. TULSA, Okla. (BRAIN) — When friends Matt Gragg and Curtis Kline decided to buy a business earlier this year, they looked at options in several industries, including a brand that makes packs for wildland firefighters and a company that manufactures fire trucks. PARIS (BRAIN) — Italian saddle maker Selle Royal is showing its newest saddle collection at the first Autonomy urban mobility expo in Paris this week. The show features everything from share cars and Uber to electric scooters and cargo, folding and electric bikes. It runs from Friday, Oct. 7, to Sunday, Oct.
SPRINGFIELD, Ore. (BRAIN) — Former SRAM technical ambassador Andy Jones has opened a RockShox mountain bike suspension service center, Squish Dynamics, in Western Oregon. BEAVERTON, Ore. (BRAIN) — Longtime online retailer TeamEstrogen.com has announced it will close at the end of September. Team Estrogen Inc. co-founder Susan Otcenas said a number of factors contributed to the decision, including price competition and changing consumer behaviors. AUSTIN, Texas (BRAIN) — Bicycle Sport Shop has expanded with a fourth location just outside of Austin in the small community of Bee Cave, Texas. The store, which opened mid-August, is about 14 miles west of Bicycle Sport Shop’s downtown shop and is the retailer’s first foray outside of the city limits. OAKLAND, Calif. (BRAIN) — After nearly three years of planning, a trio of business partners has opened a combination retail shop and café in the East Bay Area — Luckyduck Café and Bike Shop in Oakland.